President of Belarus Alexander Lukashenko took part in the session of the Council of the Collective Security Treaty Organization (CSTO) that was held in Moscow on September 5, BelTA learnt from the presidential press service. The presidents of Armenia, Belarus, Kazakhstan, Tajikistan and Uzbekistan discussed the development of the military-political situation and the measures to counteract arising challenges and threats to collective security. The CSTO Secretary General informed the participants of the session about the fulfillment of the resolutions of the Minsk (2006) and the Dushanbe sessions (2007) of the CSTO Council. The heads of state discussed a wide range of issues concerning the CSTO development. The participants of the session heard an annual report of the CSTO Secretary General and considered the priority avenues of the CSTO activity in H2 2008 and in H1 2009. The summit summed up the efforts to maintain peace and stability in the CSTO zone of responsibility. The participants of the session continued their work on the strengthening of the military cooperation within the organization. They have defined priority cooperation areas for H2 2008 and H1 2009 with the consideration of modern day security threats. The major goals include stepping up coalition military construction. The participants of the session adopted the documents on the CSTO interstate programmes, prevention of terrorism and illicit drugs and establishment of an information security system of the CSTO member states. They also adopted the draft agreement on personnel training for law-enforcement, fire-fighting, emergencies and special services of the CSTO member states, other documents. Belarus strictly adheres to the decisions taken by the CSTO member states. During the Minsk and Dushanbe sessions, the CSTO Collective Security Council signed 23 documents and 11 international agreements. 2 out of 11 agreements have already come into force, the remaining ones are undergoing the necessary ratification procedures within the states. The Republic of Belarus is the only CSTO member state that has already carried out the necessary procedures to ratify the documents signed in Minsk and Dushanbe. Belarus believes that the fulfillment of these agreements is an essential prerequisite for the further CSTO development. Belarus views the CSTO as one of the major instruments of maintaining the national security and remains committed to all the agreements achieved within the framework of the organization. The member states are resolute to continue tightly coordinating the foreign policy cooperation, the stance aimed at sustainable development of military and military technical cooperation, perfection of joint effort practices regarding all issues, which involve interests of the CSTO member states and the Organization as a whole. Talking about the Belarusian initiatives within the CSTO, Belarus proposed to hold military simulations to improve the complex response to modern day security threats. Belarus thinks it possible to carry out the military simulations with the participation of defense and emergencies ministries, internal security troops and state security services. This exercise will give the CSTO member states an opportunity to improve the coordination of different bodies in case of political, military, humanitarian, technogenic and information crises. Belarus thinks it necessary to develop closer relations not only within the CSTO. The Belarusian side has always advocated the greater cooperation between the integration associations of the post-Soviet states, the establishment of a multilevel system of collective responses to the security threats and challenges. Each acting organization – CSTO, EurAsEC and CIS – has goals which can be achieved in the existing formats. At present, the CSTO and EurAsEC are building closer relations and their complementarity is obvious. The Belarusian side thinks that the improvement of the CSTO legal basis will facilitate its further adaptation to the current geopolitical situation. The session of the CSTO Collective Security Council was held during a very complicated international situation caused by the conflict in the Caucasian region. The member states of the Collective Security Treaty Organization adopted a declaration in which they expressed deep concern over Georgia’s attempt to solve the conflict in South Ossetia by force which resulted in great loss of life among civilians and peacekeepers and caused a grave humanitarian crisis. The document reads that the CSTO member states are concerned with the buildup of the military potential and escalation of the tension in the Caucasian region and urge all countries to make a well-grounded and unbiased, free of double standards, assessment of the situation and not to take actions that can provoke its further aggravation. The CSTO member states urge Nato to weigh all the possible consequences of its expansion eastwards and deployment of new anti-missile assets on the borders of the CSTO member states. The signatories of the declaration expressed a serious concern over the proliferation of the land-based intermediate-range and short-range missiles, including their proliferation in the vicinity of the CSTO zone of responsibility. The CSTO member states do not possess this kind of weapons and they welcome the initiatives to work out a universally accepted agreement on the total elimination and ban of these two types of missiles. The CSTO intends to maintain security in its zone of responsibility and respond to global threats and challenges, including international terrorism and extremism. Russian President Dmitry Medvedev said that the CSTO member states will work out an independent approach towards the recognition of the sovereignty of South Ossetia and Abkhazia taking into consideration the international law and their national interests. “Russia thinks that it will be absolutely right,” the Russian President underlined. According to Dmitry Medvedev, the CSTO remains committed to preserving territorial integrity and sovereignty of states and non-interference into their internal affairs. On the same day, the Presidents of Belarus and Russia held a meeting during which they discussed the topical issues of the bilateral relations. The U.S. Treasury has eased sanctions against two Belarusian companies, Lakokraska and Polotsk Steklovolokno for 180 days, the U.S. Treasury official website said. “Effective September 4, 2008, all transactions between U.S. persons and Lakokraska OAO and/or Polotsk Steklovolokno OAO are authorized for a period of 180 days [until March 2, 2009],” the website said. On November 13, 2007, the U.S. Treasury imposed economic sanctions on Belneftekhim concern. The specifications that were released in March 2008 extended the sanctions to the companies where the Belneftekhim share reached 50%. The suspension of the sanctions that had been introduced by the United States against the Belarusian enterprises is a move in the right direction, spokesman for the Foreign Ministry of Belarus Andrei Popov told journalists on September 5. Comprehensive regulatory framework governing construction is needed in Belarus, Prime Minister of Belarus Sergei Sidorsky stated at a session on September 4. The session focuses on the issues of increasing the efficiency of design organizations and simplifying technical regulatory documents in the construction sector. The Head of Government noted that all the operations from submitting an application to the construction of a facility should be spelled out in the document. It should also include a list of permit licenses, technical conditions for designing and coordination. “We need to create efficient, clear and transparent conditions to make the Belarusian construction sector as attractive as possible for investors,” Sergei Sidorsky underlined. The Premier also said it was important to apply a mechanism of concurrent engineering in the construction industry. This mechanism, however, has not been worked out properly in the country, the Prime Minister said. There are no clear and intelligible schemes of its functioning. At the same time standard, often repeated design is widely used in Belarus though no law on this issue has been adopted. “When travelling around the regions I could see that an investment programme is often slow because the design and estimate documentation do not arrive in time,” the Prime Minister said. Therefore it is important to simplify the paperwork coordinating procedures. This process should not take more time that the construction itself. According to Sergei Sidorsky, the paperwork at the Emergencies Ministry, sanitary and hygienic services is very complicated and lengthy. “Very often the paperwork turns into one long ordeal,” the Premier said. The pre-election environment in Belarus remains calm, reads an intermediate report of the OSCE ODIHR mission observing elections to the House of Representatives of the National Assembly in 2008. Observers report that the situation in the country remains calm while interviewed officials expect the election process to be transparent and peaceful, says the report. According to the observers all the parties show readiness for cooperation. Election commissions on all levels keep to the terms established by the law. The system used to appoint election commissions has not been changed. State administration bodies are fully in charge of appointing members of constituency and polling station commissions. Although the opposition representation in election commissions is inessential, the Belarusian government has mentioned the increased number of constituency commissions with opposition members on board as a step forward, says the report. Meanwhile, the report says there is a lack of independent mass media. On July 9, 2008 the OSCE ODIHR was invited to monitor the forthcoming elections by Foreign Minister of Belarus Sergei Martynov. The invitation was made in time to allow the OSCE ODIHR to properly deploy the election monitoring mission, says the report. Led by Gert Arens, the mission consists of 15 members of the main expert group, which is located in Minsk, and 40 long-term observers distributed across provinces of Belarus. All in all, the mission represents 22 OSCE member-states. It will be the fifth time the OSCE ODIHR will monitor the parliamentary elections in Belarus according to its usual procedures. In his words, the issue will top today’s agenda of the six session of the joint board of the Emergencies Ministries of Belarus and Russia. The exercises are set to drill the actions of the rescue units in mitigating the consequences of a radiation accident at a nuclear power station. Besides, the participants will discuss a plan of joint actions on development of rescue and firemen voluntary organizations movement, outline cooperation areas of the veteran organizations of the Belarusian and Russian Emergencies Ministries. The agenda of the session will also include collaboration between the Emergencies Ministries of Belarus and Russia in responding to the emergencies in the third countries. The session is due to adopt a provision on the Coordination Committee and the Supervisory Board of the 2006-2010 programme on the joint activity in mitigating the consequences of the Chernobyl catastrophe within the Union State. The Belarusian delegation will be headed by Emergencies Ministry Enver Bariev, the Russian delegation – by Sergei Shoigu. Next year the emergencies ministries of Belarus and Russia will hold a joint exercise involving the liquidation of radiation disaster consequences. The decision was taken at a session of the two ministries board in Smolensk on September 5, the press service of the Russian Emergencies Ministry told BelTA. The sides also agreed to promote cooperation between the two ministries, including responses to emergencies. The session also adopted a resolution on the coordinating committee and the supervisory committee of the programme of joint efforts for overcoming Chernobyl catastrophe consequences in 2006-2010. Apart from that, the session adopted a schedule of the two ministries board operation in 2009-2011. The Belarusian delegation was made familiar with the operation of the central department of the Russian Emergencies Ministry in the Smolensk oblast and took part in opening the oblast emergency management centre, which meets the latest requirements. The draft budget 2009 will be socially oriented, Deputy Finance Minister Vladimir Amarin noted during his meeting with deputies of the House of Representatives of the Belarusian Parliament on September 4. ‘Thus, out Br67 trillion of the consolidated budget expenditures (special-purpose funds not included) over Br42 trillion (more than 60%) will be assigned for social needs,” the Deputy Minister noted. According to him, in accordance with the draft budget 2009 basic social expenditures will be increased. For instance, the health care expenses will be upped by 35% to Br6.5 trillion (4.2% of GDP), the expenses for the education system will be increased by 36% to Br8.8 trillion (5.7% of GDP). At the same time, some other expenditures, in particular, on the maintenance of state-financed organizations will be reduced. “Most frugal regime should be carried out in line with Directive No 3,” Vladimir Amarin noted. He also informed that around Br100 billion will be assigned for the targeted social assistance. One of the peculiar features of the draft budget 2009 is a significant growth of expenditures to support the residents of the Chernobyl affected regions. 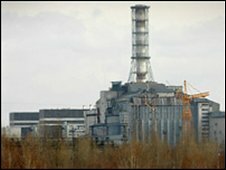 The total expenditures aimed at mitigating the Chernobyl consequences will be increased by 43%. The housing construction will receive a significant budget support as well. Around Br2 trillion of budget means will be assigned for the housing construction programme. Due to this support, 6 million square meters of housing is expected to be commissioned in 2009. The budget means will be assigned for setting up the engineering-transport infrastructure in the new residential areas (more than Br860 billion). By the end of 2009, the average salary in the country is projected at the level of $550. Belarus’ budget bill for 2009 provides for an essential decrease in the tax burden on the economy, Deputy Finance Minister of Belarus Vladimir Amarin told the House of Representatives of the National Assembly on September 4. He remarked, the efforts meant to reduce the tax burden will continue into 2010. In 2010 there are plans to scrap fees collected by the national fund for supporting agricultural producers and the tax on vehicle acquisition, he said. As a result, by late 2010 the total number of tax payments will make 27, with the number of regular payments as large as 8. In 2009 the tax burden will be decreased by 1.2% of the GDP or around Br2 trillion left on hands of tax payers as an additional stimulus for raising the competitive ability of Belarusian products on foreign markets and proprietary floating assets of companies. Next year the fee collected by the national fund for supporting agricultural producers is supposed to be reduced from 2% to 1% leaving around Br1.4 trillion on hands of tax payers. The active part of basic production assets such as technological lines and manufacturing equipment is supposed to be removed from the tax unit of real estate tax. Mandatory insurance premiums collected by the fund for social protection of the population is supposed to be reduced from 35% to 34%, while the tax on vehicle acquisition is supposed to be reduced from 5% to 3%. All in all, in its structure Belarus’ taxation system will be adequate to those of foreign states. The tax burden reduction goal outlined by the 2006-2010 social and economic development programme will be reached, noted Vladimir Amarin. Belarus hopes to get a $2bn loan from Russia in 2008, Deputy Finance Minister of Belarus Vladimir Amarin told a press conference on September 4. According to him, the negotiations on the loan are under way at the level of the finance ministries of the two countries. Within the next 12 months the World Bank plans to give a $125 million loan to Belarus for financing the reconstruction of Belarusian boiler houses through installing energy-effective cogeneration equipment, the World Bank’s country director for Belarus, Ukraine, and Moldova Martin Raiser told reporters in Minsk on September 4. In his words, the implementation of projects for rebuilding boiler houses will improve the energy security of Belarus and decrease carbon exhausts into the atmosphere, making a contribution to preventing the global warming. “We are now getting ready to provide another loan to Belarus: $60 million for implementing a project for developing water supply and disposal systems,” he said. “The project will contribute to building up the reliability and security of water supply and drainage systems in the country”. Martin Raiser remarked, approved in December 2007, the Belarus-World Bank cooperation strategy covers four years and provides for allocating annual loans of around $100 million to Belarus. The money will be allocated for improving living standards of Belarusians and will also allow resolving global problems related to decreasing atmospheric emissions. “Our partnership has already brought considerable results. For example, a recently accomplished project for modernising social infrastructure objects allowed rebuilding 700 objects”. The 13th international festival of theaters Belaya Vezha will be held in Brest on September 12-19. Taking part in the theatrical forum will be 29 theaters from 17 countries worldwide, BelTA learnt in the culture department of the Brest Oblast Executive Committee. All in all, Brest will gather around 200 participants of the theatrical forum including theaters from Russia, Poland, Romania, France, Iran, Venezuela, Japan. Belarus will be represented by six theaters: the Yanka Kupala National Academic Theater, the National Theater of Young Spectator, the National Academic Theater of Ballet, the Brest Theater of Drama and Music, the Evgeny Mirovich Theater-Studio of Belarus Academy of Arts and the theater of modern choreography D.O.Z.SK.I. As before, residents of Brest will be able to see several kinds of theatrical art: drama, tragedy, musical and romantic comedy, poetical play, modern pantomime, puppet show for children and adults, marionette performance and ethno-musical. The festival will be held on three stages: the Brest Theater of Drama and Music, the Centre of Youth Art and on the open stage which will be installed in Lenin Square of Brest. The performance of the Brest Theater of Drama and Music “Crime and Punishment” will open the festival and the ballet Nutcracker staged by the Belarus National Academic Theater of Ballet will close the forum. The jury panel led by editor-in-chief of the Moscow journal Theatrical Life Oleg Pivovarov will include professionals from Belarus, Russia, Ukraine, Moldova and Lithuania. The festival has been organized by the Belarus Culture Ministry, the Brest Oblast Executive Committee, the Brest Theater of Drama and Music, the Belarusian Union of Specialists in Theater Art. The best puppet shows of Europe will be presented at the 5th Belarusian international festival of puppet shows which will be held on the stage of the Belarusian State Puppet Theater on October 3-8, BelTA learnt from director of the theater Evgeny Klimakov. The festival will be held under the auspices of the Belarusian Culture Ministry and the Minsk City Council. The last Minsk festival of puppet shows was held in 1999. Attending the festival will be puppet shows from Belarus, Russia, Lithuania, Poland, Slovenia, the Czech Republic, Great Britain, Germany and India. Some performances will be presented on the stage of the Gorky National Academic Theater of Drama and the Kupala National Academic Theater. The Belarusian State Puppet Theater will open the festival by its staging “Ballade about White Cherry” by Svetlana Klimkovich. All in all, 20 performances will be presented in the Belarusian capital. “We always tried to invite the best performances in Minsk to allow spectators and critics to compare the Belarusian puppet theater with the best world performances,” Evgeny Klimakov noted. During the festival, the Belarusian puppet show will be presented by the best performances of the Belarusian Theater Lyalka (Vitebsk), the Minsk Oblast Puppet Theater Batleika (Molodechno), the Gomel State Puppet Theater and also puppet theaters from Grodno and Brest. The programme of the festival is designed for both children and adults. Spectators will be able to see various performances: from traditional puppet show to experimental staging. The Belarusian State Puppet Theater is the oldest puppet show in the country. It was established in Gomel in 1938 and then it moved to Minsk. The repertoire of the theater includes both classical and experimental modern performances. The works of the theater were a success not only in Belarus but in Russia, Latvia, Lithuania, Poland, Estonia, Bulgaria, Serbia, Montenegro, Slovenia, Croatia, France, Switzerland, Belgium, Germany, the Netherlands and other countries. This year the Belarusian State Puppet Theater celebrates its 70th anniversary. On October 9, the anniversary party will be held in the theater. The US has lifted some of its sanctions on the authoritarian regime in Belarus, officials in Minsk have announced. The move came after Belarussian authorities freed a number of detainees the US regarded as political prisoners. The bulk of US sanctions against Minsk remain though, and the two sides do not have full diplomatic ties after ambassadors were withdrawn in March. The sanctions were meant to highlight the poor rights record of President Alexander Lukashenko's regime. The US is one of his fiercest critics, and Washington banned US firms from dealing with state-controlled oil and chemical company, Belneftekhim, in November 2007. Travel restrictions were also imposed on the president and his inner-circle by the US and the EU. Earlier this year, US sanctions were widened to take in subsidiaries of Belneftekhim - including Lakokraska and Polotsk Steklovolokno. But officials at the US embassy in Minsk say measures against these two firms will be suspended for six months. Belarusian Foreign Ministry spokesman Andrei Popov hailed the decision as a "step in the right direction". "This move by the US administration is also in the interests of the US business community," he said in a statement. The US announcement followed the release of all prisoners regarded as political by the West. They included Alexander Kozulin, who was sentenced to more than five years in prison in 2006 for organising protests after President Lukashenko was re-elected for a third term. Analysts believe the president - often branded Europe's last dictator by his critics - may be courting the West in response to his souring relations with Moscow. The European Union has moved to curb Russia's influence over its border states after officials called for better relations with Belarus, a nation long seen as one of Moscow's most enthusiastic supporters. Javier Solana, the EU's foreign policy head, noted that Belarus, once described by Washington as Europe's last dictatorship, had taken the positive step of releasing a number of political prisoners. "We would like very much to find something on our side to reward that sort of behaviour," Mr Solana said, adding that he had a long telephone conversation with Belarus's foreign minister on Friday. The EU's external affairs commissioner, Benita Ferrero-Waldner, said Europe should restart high-level meetings with the Belarussian government, which has also held out, much to Russia's annoyance, from recognising South Ossetia and Abkhazia. 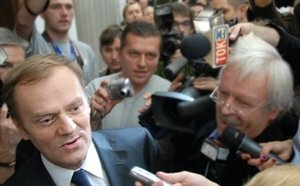 The statements from the EU, which come as the West tries to limit Moscow's power over its backyard in the wake of the Georgian crisis, could become the first shots in an East-West war of influence over Belarus as it gears up for parliamentary elections at the end of September. Dictatorial President Aleksander Lukashenko has run Belarus on Soviet economic lines since 1994 and was a dogged supporter of Russia, even proposing the two countries unite. But the happy relationship soured after Moscow demanded that Minsk pay market prices for its energy. The regime, faced with crippling fuel bills and in need of friends, has made subtle overtures to the West, while at the same time loosening the state's grip on the economy by earmarking some 500 companies for privatisation. Poland, a leading proponent of bringing Belarus in from the cold, has called for a loosening of sanctions. Warsaw's foreign minister, Radek Sikorski, said that if the EU can relax sanctions against Cuba, which he described as less free than Belarus, then it is only fair that they be lifted against Minsk. Since 2006, after fraudulent presidential elections, forty high-ranking Belarussians including the president have been banned from entering the EU. The Belarusian teenager who refused to leave her Petaluma host family after a summer trip, causing an international stir, is attempting to lengthen her stay. Tanya Kazyra, 16, and her hosts Manuel and Debra Zapata, are seeking a student visa and permission to attend high school for a year in Petaluma, said her immigration lawyer, Christopher Kerosky. That overture Friday was the first sign that Kazyra plans to remain in the United States on a somewhat permanent basis. It was a change from her announcement last month that she was not going home with other members of the Chernobyl Childrens Project because she wanted a short extension on her visit with her hosts for the past nine summers. "She's on a tourist visa now," Kerosky said. "She would like to go to a student visa if the U.S. government will allow it." Kazyra, from the city of Borisov near Minsk, outraged Belarusian officials and members of the respite program for children living in the path of the 1986 nuclear disaster when she failed to board a plane Aug. 5 to go home. She had been in the country for six weeks. She said she had grown attached to the Zapatas and didn't want to return to a bleak home life marred by an abusive father. Her government responded that she was being kidnapped and demanded she be returned. Two special envoys were dispatched to Petaluma to assure her she could come home safely and with the possibility of returning to the United States at a later time. When she didn't change her mind, officials in the former Soviet republic suspended all future children's trips to the United States. That incensed children's groups nationwide who host about 1,400 kids from Belarus each year. Many called Kazyra selfish and blamed the Zapatas for encouraging her to stay. "Everybody is up in arms," said Rosey Erickson, president of the Petaluma-based group that organized Kazyra's trip. "Nobody understands. Everybody wants to know how they can be so selfish." But Kerosky said the teen is in the country legally and has permission from her legal guardian, her grandmother. Her current tourist visa expires Dec. 25 and she has applied for an extension to February, he said. Since she needs a student visa to attend high school for her senior year, she also will seek a change of status, Kerosky said. That might involve traveling to a third country such as Canada and applying at a U.S. consulate there, Kerosky said. The U.S. government frowns on student visa applications within the country in light of the Sept. 11 attacks, he said. Returning to Belarus to apply for the change is out of the question, Kerosky said. "She's afraid to go back to Belarus for reasons I think are reasonable," Kerosky said. "What about a compromise?" A State Department source who did not want to be named because of privacy issues confirmed Kazyra was in the country legally. The source said an extension or change of her visa status is possible. Another official, Virginia Kice, a spokeswoman for U.S. Immigration and Customs Enforcement, said there are no specific laws that apply to minors entering the country with student groups. Like adults, minors from most countries must have a visa to enter and they may remain for as long as that visa is valid and they comply with the terms of their admission, she said. "Whether they are authorized to attend school depends on the type of visa they are issued," Kice said. Meanwhile, hoping to help save the children's trips, Kerosky penned a letter to the Belarusian embassy suggesting some steps toward a resolution. Kazyra could issue a written apology to her government and a statement expressing affection for her home country, Kerosky said. In addition, Kazyra would not ask to be adopted and would act as a sort of cultural ambassador, he said. He said blaming Kazyra for the cancellation of the programs is wrong. The Belarus government overreacted, he said. "Tanya has simply made a decision not to return to a home environment where she has been exposed to abuse, violence, and drug use by others in the household," he said in a written statement. "How can we attack her for that?" Whether the concessions will have an effect appeared doubtful. Oleg Kravchenko, charge de affairs at the Belarus embassy in Washington, said Kerosky lacks the official standing to make a proposal to a foreign government. Programs that bring children to the country each year will remain canceled until the U.S. government guarantees another child will not try to stay, he said. The U.S. government is now considering a draft agreement, he said. A U.S. government source said there are no ongoing negotiations with Belarus over any pact. Kravchenko accused the Zapatas of attempting a "de facto adoption" and said Kazyra is being deprived of her remaining education while the family tries to home-school her. School in Belarus began Sept. 1. "We want Tanya to return," Kravchenko said. "It is the only right solution. The Zapata family is doing her a great disservice." Children who suffered as a result of the Chernobyl nuclear disaster have been banned from visiting Northern Ireland for medical treatment. The Belarussian government made the decision to introduce a worldwide ban after a girl who was visiting the US for treatment refused to return home. Maureen Brady from Londonderry has looked after Belarussian girls for the last two summers. "The children deserve to have these benefits, it's a matter of health." The Chernobyl children have become a familiar sight in the north west, and the rest of the country, over the summer as thousands travel to Ireland each year for recuperation. Paul Carlisle, the chairman of the Chernobyl Children's Project Foyle said he was shocked when he heard the news. "It was quite a surprise, I got an e-mail stating the government had banned children from travelling for rest and recuperation." "Our organisation works so hard, not just to bring the children here but to raise money for orphanages, equipment and activities that we send out there." Maureen and her husband Vinny said they decided to become a host family after friends got involved with the scheme. "We can't actually believe this is happening," Vinny said. "It's just very sad because what we as a family get out of it is immense, but what the children get in terms of healthcare and a little bit of happiness is just tremendous." In 2004 a similar worldwide ban was put in place but restrictions were lifted after various governments, including the Irish stepped in. Adi Roache, chief executive of The Chernobyl Children's Project International (CCPI), has brought thousands of Belarussian children to Ireland through the organisation since 1991. Ms Roache has requested that the Irish foreign minister look into the issue to seek an exemption. Belarus's central bank on Thursday doubled the size of the percentage stake which foreign investors are allowed to own in domestic banks, citing growing interest in the sector. In future, foreign investors will be able to hold up to 50 percent in Belarussian banks, up from a current limit of 25 percent. Belarus still has a largely command economy inherited from Soviet times, but has talked of allowing more foreign investors in especially after it received its maiden international credit ratings a year ago. Belarus earlier this year signalled an intention to allow at least six foreign investors into the banking sector, including a sale to Commerzbank of a controlling stake in a large bank, Belinvestbank. It also aims to sell stakes of 10-15 percent of other state banks, including the country's two largest, Belarusbank and Belagroprombank. "The decision to raise the size of foreign capital was called for by the increase in the interest of foreign strategic investors in the Belarussian banking sector," the central bank said in a statement. "They are ready to inject cash sources in charter capital, not just in existing banks but also in creating new credit-finance institutions." At the moment, the state owns over 70 percent of the capital in the country's banking sector. 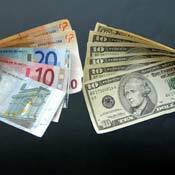 Foreign investors own about 22.2 percent in 29 banks. On 23 august the state newspaper Narodnaya Trybuna (distributed on the territory of Brest oblast) published an article With relish! Mushroom salad in which Nina Fedaruk, a pretender for candidate at Mukhavets electoral constituency #4 and a deputy of the present parliament, told the readers that she liked household choirs, her family and home… She even proposed to the readers the recipe of her mushroom salad. The same an article There is no more important concern was place in the front page of the state newspaper Zara nad Buham (distributed on the territory of Brest district). In this article the reader are informed about the political briefing in the region and a meeting of Nina Fedaruk with the working collective of the Zakhodni state enterprise about the achievements of the contemporary medical service to the population. On 27 August the front page of Zara nad Buham was occupied by an article I admire you and am proud of you about the state festival Dazhynki in the village of Vistychy. The participation of Nina Fedaruk in the festival is mentioned. In the third page, in the article There has not been such success before Nina Fedaruk offers her opinion concerning the results shown by the Belarusian athletes at this year’s Olympics. On 30 August the front page of Zara nad Buham features an article Universality, accessibility and quality are the main principles of education informs the readers about a conference in Brest district, at which Nina Fedaruk delivered a speech. ‘Education is one of the main priorities of the state policy in our country. This year it ascends to a new level,’ she said. The same day an article Nobody was left without attention was published in the fifth page of the newspaper Selskaya Prauda (distributed in Zhabinka district of Brest oblast). The author in a laudable tone describes the reception of citizens by the deputy Nina Fedaruk. On 30 August an article New questions – to deputy’s notebook about Nina Fedaruk’s meeting with the dwellers of the village of Khatsislau was published in the second page of the newspaper Holas Chasu (distributed on the territory of Malaryta district). On 3 September Zara nad Buham dedicated two front pages to an article First grader, you have a holiday today! about the festive measures on the occasion of the first day of school classes, attended by Nina Fedaruk as a honorary guest. Here the deputy also speaks about the ‘importance of education in our country’. We can continue drawing the examples of the ‘multilateral activities’ of Nina Fedaruk and support it all with excerpts from the articles about her which appear in the local press almost everyday, but instead we would like to draw your attention to the provisions of the Electoral Code where it is stated that candidates for deputies must have equal conditions. Fedaruk’ rival, member of the Party of Communists Belarusian Anatol Novik is not mentioned by the local state newspapers. Even now we can speak about a catastrophic disproportion of the candidates; opportunities at Mukhavets electoral constituency #4 which includes Brest, Zhabinka and Malaryta districts. “We are being put under pressure to take part in the electoral farce, so that the US and Europe could have a chance to recognize Lukashenka, that is, the West is substituting notions, and instead of basic notions and principles of democracy and human rights is trying to play some kind of game,” stated one of the leaders of the civil campaign “European Belarus” Andrei Sannikov in an interview to the Voice of America. - Recently Russian Ambassador to Belarus reminded Alyaksandr Lukashenka that Moscow is expecting diplomatic recognition of South Ossetia and Abkhazia from him. On Thursday mass media informed that the Belarusian leader sent a letter to president Dmitry Medvedev in this connection, offering to bring up the problem of “the right of South Ossetia and Abkhazia’s nations to self-determination” for consideration of the Collective Security Treaty Organization Council on September 5. What is your opinion about the developments in the relations between Moscow and Minsk? - First I would like to give assessment of the situation in general. Invasion by Russian troops of the territory of an independent state which was formed after the collapse of the Soviet Union has taken place. For the first time in the modern history of this space we are witnessing such an act of aggression, and this probably should be a starting point of all assessments and political steps done by heads and politicians of different states. Even its allies have been put in a rather complicated situation by Russia. I do not want to put myself in Lukashenka’s place, but trying to imagine his situation, he won’t gain anything from supporting Russia. But he would lose a lot. Russia has depleted resources of its allies’ financial and economic support, and it never had moral and democratic resources, so it has nothing to base itself upon on any more. And that is why force would be used simply. Besides, Russia has exhausted diplomatic arsenal as well, so their attempts to talk about mythical union states, or the CIS, it is just ridiculous, is does not exist, it does not work, nobody knows how to bury these political corpses, that’s all. - For today independence of South Ossetia and Abkhazia has been supported by Hezbollah and Hamas, and by the Nagorno-Karabakh Republic which hasn’t been recognized by anybody. Even members of the Shanghai Cooperation Organisation expressed: “deep concern over the tensions around the South Ossetian question”. At the same time, as the British Times writes, Belarus is the only European country except Russia that could recognize South Ossetia and Abkhazia, as it is in fact a Russian vassal. - Now Lukashenka is trying to manoeuvre between Russia and the West, so he cannot accept concession recognition quickly. Besides, he understands that recognition of Russia’s forcible, aggressive scenario cannot but tell on the situation in Belarus. Russia demands not only recognition of Abkhazia and South Ossetia by Lukashenka, but to take part in military plans of Russia, in resistance to the US, to introduce single currency, to allow Russian capital and companies to privatize property in Belarus. That is why it’s not a matter of simple recognition. As a matter of fact, it is an issue of Lukashenka’s personal power, and he cannot agree on that. As for relations with the West, the policy of the West towards Belarus is hard to understand. Even now some bargaining is taking place, and its result is incomprehensible, at least for us. We are being put under pressure to take part in the electoral farce, so that the US and Europe could have a chance to recognize Lukashenka; that is, the West is substituting notions here, and instead of basic notions and principles of democracy and human rights is trying to play some kind of game, which by the way has brought to ruin all its policy towards Russia. - Let us imagine Lukashenka refuses to recognize South Ossetia and Abkhazia. Russian mass media have already called his behaviour during the Georgian conflict “a betrayal”, and demand to tighten the policy of Moscow towards Minsk. What are the means in Russia’s armoury to punish the “negligent ally”? - Russia has many legal and illegal methods, like oil, gas and others. If we imagine Lukashenka would effect a turn towards the West, he would be compelled to understand that the situation in the world has changed, and that without solving problems within the country, without offering constructive discussions to the society, which would be followed by concrete results of democratization, and that means without direct communications and talks wit opposition, he won’t gain anything. That is why he is manoeuvring now, trying to postpone the long overdue decision: the opposition offered its support in defence of independence, but this support is preconditioned by concrete steps of democratisation. He hadn’t been offered anything by Russia, on the contrary, a lot of pressure is being applied on him, and we see that. The Russian Ambassador is behaving like a barbarian; an ambassador could hardly take the liberty to behave like that in any other country. The Bush administration is poised to withdraw an agreement with Russia on nuclear trade as punishment for Russia's military action last month against U.S. ally Georgia, a State Department source said Friday. The pact, known as the 123 Agreement, would clear the way for more trade of nuclear goods, along with services and technology, between the United States and Russia. Both countries had accepted the agreement, but it is awaiting congressional approval. But as early as next week President Bush could deep-freeze the agreement, withdrawing it from congressional deliberations, the source said. Russia analyst Jon Wolfsthal at the Center for Strategic and International Studies in Washington noted that the 123 Agreement has been having trouble winning approval on Capitol Hill and said, "I think they are making a virtue out of a necessity. "It was unlikely Congress was going to approve the agreement this year," he said. "It was too tempting a target for the administration not to pull it back." In general, Wolfsthal said, the administration needs to move carefully, signaling to Russia that its behavior in Georgia is unacceptable but that cooperation on mutual issues such as Iran and combating terrorism should continue. "We have to be careful to calibrate our actions," he said. The United States is frustrated that Russia is dragging its feet on the Georgia cease-fire agreement brokered by French President Nicolas Sarkozy. There is also new friction between Washington and Moscow over U.S. emergency aid shipments to Georgia. That heat was seen again Friday when the Russians protested against a top-of-the-line U.S. warship coming into the Georgian port of Poti, where Russian forces are still stationed. The ship, the USS Mount Whitney, is the Navy's only Joint Command Ship and is considered to be the most sophisticated ship ever commissioned in terms of communication, control, command, computers and intelligence capabilities, according to the Navy's Web site. State Department deputy spokesman Robert Wood brushed off the Russian accusation that the U.S. warship was bringing in arms. "The USS Mount Whitney has arrived in Poti," Wood said at his midday briefing. "It's bringing humanitarian supplies such as, I believe, 4,000 blankets, juice, diapers, hygiene products. There's absolutely no foundation to this Russian charge." Secretary of State Condoleezza Rice has been vague about how the United States could signal its displeasure with Moscow without ratcheting up tensions too far. Again Friday she said the United States and Europe find it extraordinary that Russia is refusing to live up to its cease-fire obligations. "I am quite certain that Russia will understand that it is deepening its isolation and that it will have no way out unless it honors its commitments and unless it begins to change its behavior," Rice said in Portugal on her way to North Africa. "I'm also confident, by the way, that the Russians are beginning to understand that there are costs to this kind of behavior, in rallying the world against this kind of behavior." On August 25, asked specifically about the 123 Agreement with Russia, she would only say, "we're going to continue to review what we will do about the various elements of the relationship with Russia." The "123" refers to the section of the Atomic Energy Act of 1954 about what the United States must do before it can engage other countries in commercial nuclear activities. Meanwhile, the United States continues to work through a similar civilian nuclear agreement with India. A 45-nation Nuclear Suppliers Group has been meeting in Austria over whether to clear the way for the United States to sell India nuclear material and technology for civilian use. 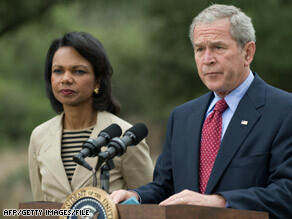 Before she left for North Africa, Rice held a formal announcement ceremony of a $1 billion aid package for Georgia, the latest signal that the U.S. would stand by its ally and stand up to Russia. The EU may seek to pressure Russia on gas imports if it does not pull its troops from Georgia, French Foreign Minister Bernard Kouchner was reported as saying Sunday on the eve of a European Union troika visit to Moscow. "The important thing was stopping the war (in Georgia), withdrawing the troops. We'll see on September 8," Kouchner said during an interview due to be published in the September 15 edition of Newsweek. "If (Russia's withdrawal from Georgia) isn't finished, we'll have to be more firm. One reaction could be a European gas-buying unit, meaning solidarity among consumers. "That's a priority of the French EU presidency. 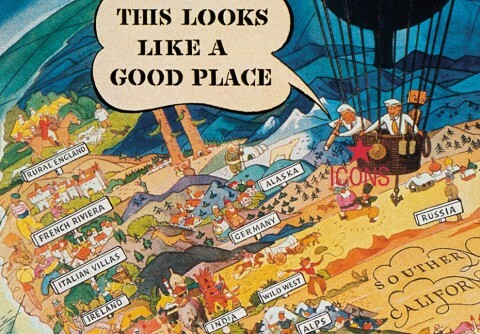 We're working on it," Kouchner stated. French President Nicolas Sarkozy, whose nation holds the EU presidency, will meet Russian counterpart Dmitry Medvedev on Monday before travelling on to the Georgian capital Tbilisi. He will be joined on both stops by European Commission President Jose Manuel Barroso and EU foreign policy chief Javier Solana. Sarkozy brokered a ceasefire that ended the five-day war in Georgia on August 12, but Kouchner admitted Saturday that the terms of the agreement were lost in translation as a full retreat of Russian troops from areas beyond South Ossetia and Abkhazia has yet to materialise. The European Union is heavily-reliant on Russian gas and Kouchner said Paris is pushing for centralised EU negotiations with Moscow, which may offer greater bargaining strength. The Kremlin, however, appears happy with existing deals done direct with individual members. Russian Prime Minister Vladimir Putin said last Sunday that Russia "will abide strictly by our contractual obligations" over gas deliveries. In a bid to reduce its reliance on Russian supplies, the EU is pinning its hopes on the construction of a 3,300-kilometre (2,050-mile) pipeline, running from the Caspian Sea through the Caucasus via Turkey and the Balkan states to Austria. More generally, Kouchner said the 27 EU members have no appetite for confrontation with Moscow. "European defence is a priority of the French presidency, too, but will take years," he said. "The former Soviet bloc countries fear a return to a certain Russian imperialism, I understand. "But we also know, and there are 27 of us, the costs of a cold war. I hate that term, but nobody wants a policy of confrontation with Russia." During Monday's talks, France will also be seeking Russian acceptance of an EU observer mission in Georgia and the setting of a date for international talks on the future of South Ossetia and Abkhazia. Yulia Tymoshenko, Ukraine’s prime minister, accused the country’s president, Viktor Yushchenko, of jeopardising both bilateral relations with Russia and western integration initiatives by labelling her a Kremlin conspirator during the collapse of their coalition last week. In an interview with the Financial Times Ms Tymoshenko hit back at allegations that she sided with Russia and was weak in her support for Georgia during last month’s conflict between the two countries. She accused Mr Yushchenko of tarnishing her image in an attempt to score points with voters ahead of next year’s presidential election. Last week Mr Yushchenko’s party pulled out of the ruling coalition after Ms Tymoshenko’s camp voted with Moscow-leaning parties to curtail presidential powers. Ms Tymoshenko, in turn, accused the president’s party of systematically sabotaging her government. “Pointing the finger at Moscow is stupid. The coalition collapsed not by the hand of the Kremlin, but by the president’s decision,” Ms Tymoshenko said, urging Mr Yushchenko to revive the coalition. She said starting a presidential campaign “this way . . . complicated the country’s plans for closer integration with Brussels and Nato”. At an European Union-Ukraine summit on Tuesday in the French town of Evian, Kiev hopes to win support for associate membership of the EU. In December Nato will review a membership action plan for Ukraine and Georgia. Both organisations are uneasy over the latest bout of political infighting in Kiev, which could complicate relations with Russia. Ties with Moscow soured after the 2004 Orange Revolution brought Mr Yushchenko and Ms Tymoshenko to power. Both have pushed to break Moscow’s grip on energy supplies but Ukraine remains vulnerable as their on-off alliance turns into a cut-throat power struggle. Fears loom that a Georgia-style conflict could erupt between Ukraine and Moscow, which is staunchly against Nato’s eastward expansion. Dismissing as “comical” allegations from the president that she had plotted with the Kremlin, she insisted she had pushed to cut Russia’s grasp over Ukraine’s energy sector. She also claimed that Mr Yushchenko had protected “Russian interests” in a strategic Black Sea hydrocarbon exploration project. By cancelling the venture, “where Russian interests were camouflaged by Houston-based Vanco Energy . . . I returned Ukraine’s strategic Black Sea gas reserves”. The silver and bronze medallists in the men's hammer throw at the Beijing Olympics are being investigated for doping offences by International Olympic Committee. Belarusian athletes Vadim Devyatovskiy and Ivan Tsikhan tested positive for traces of testosterone after the hammer final on Aug. 17, the Russian news agency Allsport said Thursday. An IOC disciplinary commission will meet at the end of the month to hear the case, IOC spokeswoman Emmanuelle Moreau told The Associated Press in an e-mail message. The Belarus Athletics Federation said it had received no documents or confirmation of any positive tests by its athletes. "How can we comment on what we do not have?" spokeswoman Anastasiya Marinina said in a telephone interview. 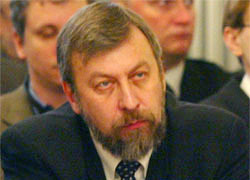 "Devyatovskiy and Tsikhan deny all the accusations. Every person can have different level of testosterone in his body." Devyatovskiy said Thursday that he stayed in Beijing for four days after his event and no Olympic official contacted him with suspicions about his doping test. "Even I don't know what to say," he told reporters in Minsk. "I'm convinced that there is nothing banned in my body, and Ivan shouldn't have anything either. Testosterone? Every organism contains it after all." If the two are found guilty of doping, they would be disqualified and stripped of their medals. Devyatovskiy's silver would go to Krisztian Pars of Hungary, while Tsikhan's bronze would go to Japan's Koji Murofushi. James Steacy of Lethbridge, Alta., was 12th. The gold medal was won by Primoz Kozmus of Slovenia. The 31-year-old Devyatovskiy faces a lifetime ban if found guilty of a second doping offence. He served a two-year drug suspension from 2000-02. It would be a first offence for the 32-year-old Tsikhan, a three-time world champion and silver medallist at the 2004 Athens Olympics. The Belarusians would be the seventh and eighth athletes caught doping at the Beijing Olympics, which closed on Aug. 24. Disqualified by the IOC during the Games were Ukrainian heptathlete Lyudmila Blonska, Ukrainian weightlifter Igor Razoronov, Greek hurdler Fani Halkia, North Korean shooter Kim Jong Su, Spanish cyclist Isabel Moreno and Vietnamese gymnast Thi Ngan Thuong Do. Blonska was stripped of her silver medal, while Kim had his silver and bronze medals revoked. The IOC carried out more than 5,000 doping tests during the Games. Four years ago in Athens, Hungary's Adrian Annus was stripped of the hammer throw gold medal for doping. The medal went to Murofushi. Murofushi, who now stands to benefit again from a rival's doping violation, issued a statement through his management company in Japan saying, "I'm waiting for an official ruling, so I can't make any comments." Japanese delegation chief Tomiaki Fukuda expressed mixed feelings about the prospect of getting the bronze. "It's good for Japan, but receiving a medal in this way makes us feel a bit awkward," he said. "It will be the second doping offence in hammer throw in two Olympics, so it poses a serious threat for this sport." A last minute Andrei Shevchenko penalty was enough for Ukraine to claim a victory in their opening World Cup qualifier against Belarus. Ukraine managed to get their World Cup qualification campaign off to a winning start thanks to a last-gasp penalty from star striker Andrei Shevchenko. AC Milan's prodigal son began proceedings on the bench, but entered the fray for the last 15 minutes of play. The Group 6 clash was a dour affair from start to finish, but both sides reluctant to engage in any meaningful or pursposeful attacks. The game had its only true piece of action, in injury time, when Sheva stroked home a well executed penalty. Aleksandr Kulchiya handled in the box, and the ex-Chelsea star won the match with the last kick of the game. Following Ukraine's 1-0 victory over Poland last month, hopes were high for Olexiy Mikhaylichenko's side coming into this fixture with their neighbours. However, the dull nature of the win will increase pressure on the Ukrainians for Wednesday's away clash in Kazahkstan. As the immigration attorney for Tanya Kazyra, I have watched with dismay at the personal attacks made against Tanya and her host parents, the Zapatas, since she decided one month ago to extend her stay in the United States in accordance with her visa and not return as planned to Belarus. When bad things happen, the natural inclination is to look for someone to blame. In this case, it will be tragic if the programs that bring Belarusian kids here to families in Sonoma and Marin counties and others like it across the country are suspended. No one would dispute that these are wonderful programs that benefit many children from Belarus and enrich the community as well. However, often overlooked in the commentary on this case is the simple fact that the Belarus government, not Tanya, is responsible for closing these programs. To read the statements of some quoted in the newspaper, one would get the impression that she or the Zapatas closed them down single-handedly. It is a little like the scene from Oliver Twist when the malnourished orphan Oliver dares to ask the managers of his decrepit orphanage for more food and is attacked as a villain for doing so. Tanya has simply made a decision not to return to a home environment where she has been exposed to abuse, violence and drug use by others in the household and instead stay longer with a family here that showers her with love, care and support. She did so with the express permission of her guardian in Belarus, her grandmother. She did so with a valid visa from the U.S. government that allows her to stay here longer. How can we attack her for that? It is the Belarus government that has overreacted here, singling out this one instance among thousands of kids who have come here and returned over many years and insisting that it result in the complete closure of all programs here and throughout the United States. It's a wrong decision, and it needs to be called that. As an immigration lawyer, I can tell you that many children come to the United States on various exchanges and decide to extend their stay, just as American children do in Europe. These decisions are not the cause for objection by their governments, much less the diplomatic crisis and public controversy that resulted in this case. Now that the two Belarusian envoys sent to Petaluma to retrieve the girl have returned home without her -- both realizing that this is not a kidnapping (as it was originally called) and that the girl desperately wants to stay here -- perhaps it is time to look for another solution. In that vein, two weeks ago, I proposed to the Belarus officials and the directors of the local program, the Chernobyl Children's Project, what I view as a win-win-win solution. This was done with the support of the Zapatas and Tanya. I have had no response as yet. Tanya and the Zapatas would agree that Tanya would not be adopted by the Zapatas and that no adoption proceedings would be started at any time. It is apparently important to the Belarus government that these programs not be used as a means of adoption. Tanya and the Zapatas would act in close cooperation and contact with Tanya's grandmother at all times that Tanya remains in the United States. Tanya and the Zapatas would agree that Tanya would attend high school here on a student visa. The Zapatas would seek permission for Tanya to attend school here from local authorities and a student visa from the U.S. government. Tanya would issue a statement to the Belarus government and the Belarussian people, apologizing for the problems and difficulties caused by her decision to stay on beyond her planned departure and expressing her affection for her home country. Tanya would devote a substantial amount of time during the next year in an effort to increase knowledge and understanding of her country, Belarus. With the cooperation of local school officials, Tanya would agree to make presentations at elementary and high schools about Belarus, its culture, its history and its traditions. A campaign would be started to raise money for the Chernobyl Children's Project here in Sonoma and Marin counties. These funds could be used to expand the program or enhance the services it provides the children. Certainly many more people here know about the Chernobyl Children's Project than one month ago, and I believe that community people would donate to see the programs continued and strengthened. When the Chernobyl Children's Project children return here in the summer, a "Belarus Day" would be organized, where community members can be exposed to Belarus culture, food, music and national traditions. The suggestions above are simply initial ideas; I am sure that, involving the participation of those in leadership positions in the Chernobyl Children's Project and other programs, we could enhance these ideas and develop a plan that should be satisfactory to the Belarus government and benefit all concerned. We as a community can advance with the Belarus government a resolution that maintains the youth programs but allows Tanya to stay, this would be a positive outcome that would benefit Tanya, the local community, the people of Belarus and, ultimately, their government. At the very least, we should not be vilifying this young girl and her host family but working together to find a good resolution for all concerned.Christopher A. Kerosky is an attorney licensed in California for 24 years with offices in San Francisco and Santa Rosa.